I wanted an old French farmhouse table that I could use and abuse. An unfinished long, narrow, sturdy workhorse to cook on, eat on and work on. Something like this. Eight feet long, 34 inches wide and priced at $8500. Well as much as I love it there is no way I am going to fork over $8500 for a table to beat up. So I decided to build a table to fit my unique needs. Well, actually, I designed the tables(s) and got Jon to build them. While I wanted an 8-foot table, the truth is, I don't need an 8-foot table every day. 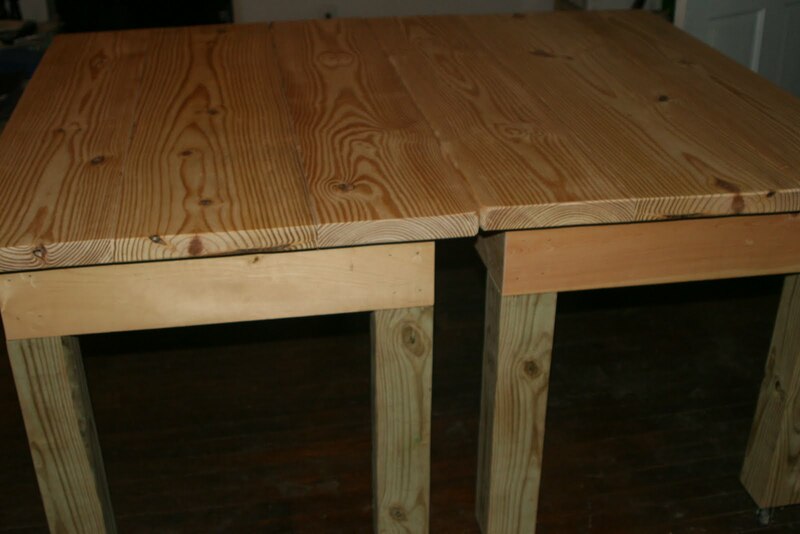 A permanent table would have been cumbersome and I would have tired of it easily. 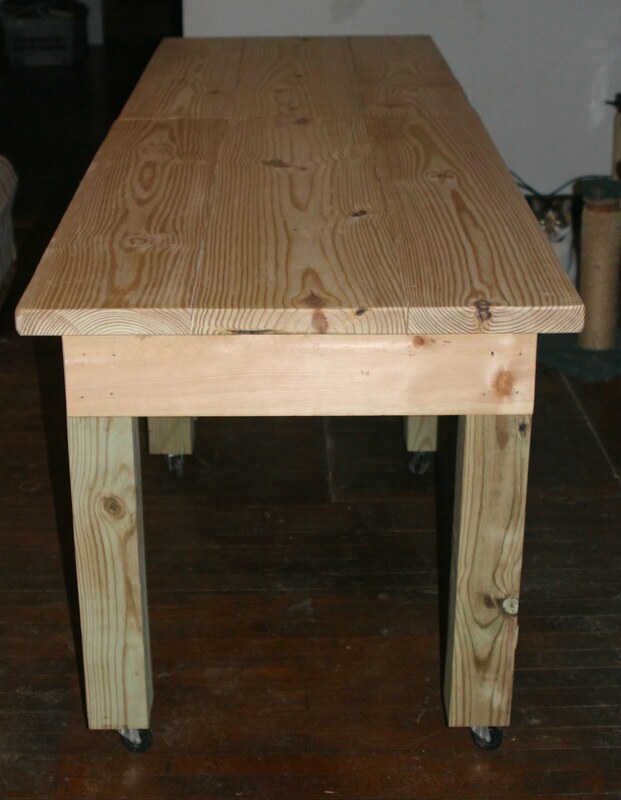 I needed a table for the kitchen, because I never have enough counter space when I am canning. 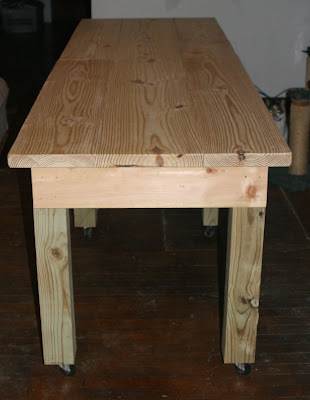 I needed an eating table, but I like to eat in the kitchen as well as the den as well as the living room, and frankly, dragging a table around is a pain. I know because I have moved my dining table on numerous occasions. I also need a work space, depending on the project, I need a sturdy desk for the computer and books. My solution was to build two four foot tables, put them on wheels and make them out of inexpensive, thick-cut pine. That way I would have an 8 foot table or a big square table. I had it made narrow (30inches) so that it would move comfortably through my narrow doors. If I want the table out of the way, I can just move it to the porch! If I need more space in the kitchen, I can just move it in. If I need to work and eat-- I am covered. After much debating over the raw wood, which I wanted to simply oil with some butcher block oil, I have decided to seal the table first, then add the butcher block oil. After that, I just need 100 years of grime. Your tables are brilliant. I have an old kitchen table and it's a very useful workspace and occasional eating table for breakfast/lunch. You might appreciate Kirstie Allsopp's book, Homemade Britain, if you've not seen it. 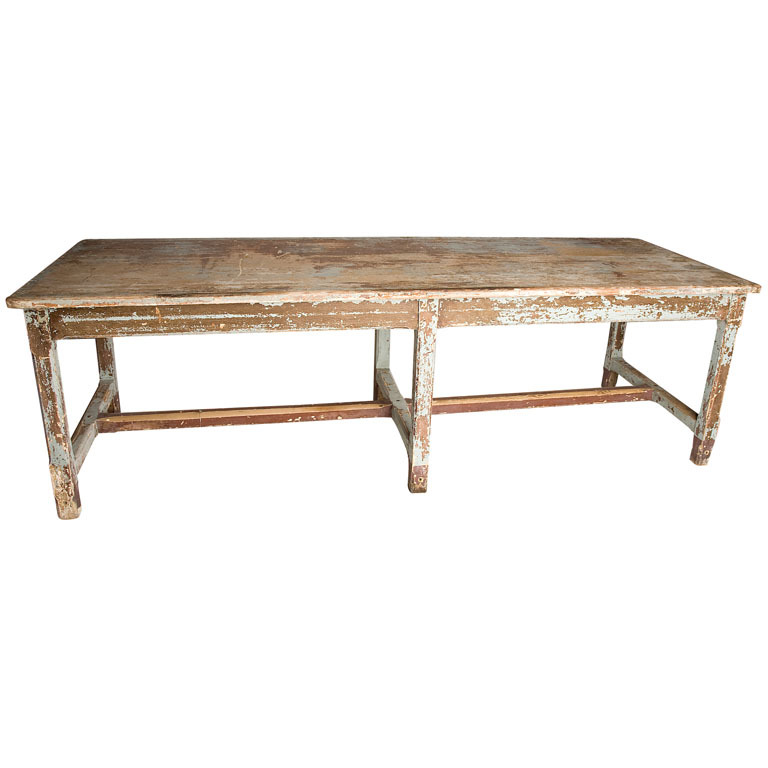 She fixed up an old manor house in Devon in a very home spun sort of way and she recommends long tables and benches for seating. What a great tutorial you really got me with this practical guide! this is exactly what i wanted to build in my kitchen. 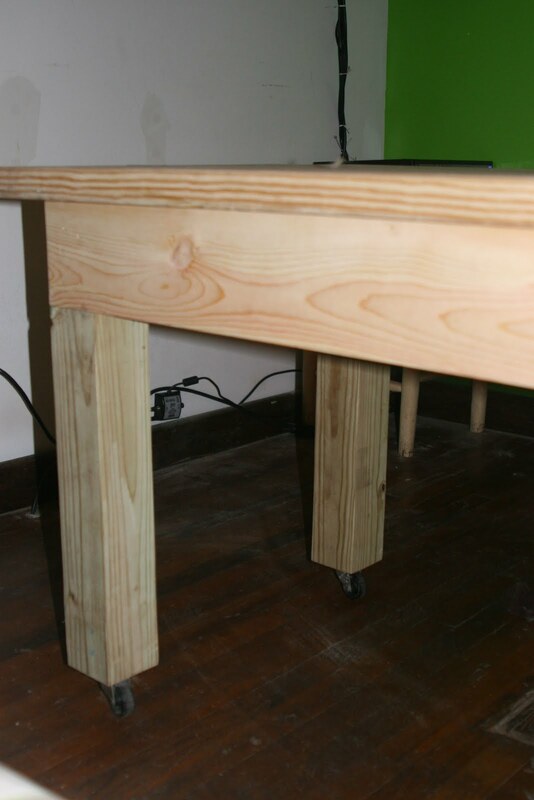 my ideas was also to have one of these tables with adjstable height using some linak actuator.